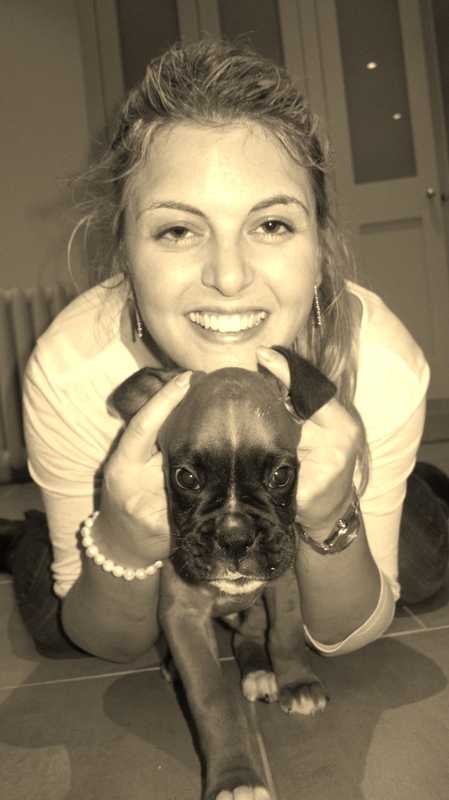 I’m Emma, I’ve just turned 30 and I live with my husband and a very naughty puppy called Magnus in Berkshire. On the 4th July I’m having a corneal transplant at Moorfield’s eye hospital in my left eye due to scarring from Keratoconus. I was 1st diagnosed with Keratoconus when I was 17, and was told then that if I made it to 30 then I probably wouldn’t need a corneal transplant. I nearly made it, but at 29 years old at my check up appointment this year I was told that there was a scarring in both eyes, and it was a lot worse in the left eye so a transplant would need to happen as soon as possible. I’ve started this blog to give an honest account of my experience of the transplant which will hopefully help anyone who is going to be going through something similar. Keratoconus is a degenerative disorder of the eye which affects around 1 person in a 1000 and causes the cornea to thin and change shape to a more conical shape than its normal gradual curve. It can cause substantial distortion of vision, with multiple images, streaking and sensitivity to light all often reported by the patient. It is typically diagnosed in the patient’s adolescent years and attains its most severe state between the ages of 20 and 40. If afflicting both eyes, the deterioration in vision can affect the patient’s ability to drive a car or read normal print. Thanks for sharing your experience with a corneal transplant. I also have KC and was diagnosed at 20. I am now 38 and have worn RGP’s for over 15 years. In Nov., I had intacs in one eye due to trouble wearing RGP’s. I am trying to avoid a transplant. I appreciate your blog as I have considered a transplant this past year. How did you get corneal scarring? I was fortunate that prior to intacs I did not have corneal scarring. I wish you the best! I have just read all you blogs and i would really just like to thank you for taking the time. And like you had mentioned i have been going through every excuse in the book of why now just isn’t a good time. My main worry before i read this was that the op would some how comprise my vision i get from my right eye and that i was going to struggle to get to work as i couldn’t drive and i wouldn’t be able to see my baby (my fiance is pregnant) and although every case will obviously be different, reading you blog has give me abit more confidence that i will be able to live a normal life. Thanks for your lovely message – it’s so nice to hear that the blog is helpful to people. Do you have a date for your transplant yet? Let me know how you get on and if you have any questions just ask. i had it 2 weeks ago on the 30th of November 2012 as there was a cancelation, and it wasn’t as bad as I thought, i luckily haven’t been in an pain whats so ever and seems to be going ok. I’m now back at work doing my first full day today and its not been to bad, my eyes just want to shut now however and rest which is a feeling i just can’t get used to and at the minute i feel like a vampire as the sun just makes me blind ha ha. Hi Emma can you give me/us an update? I’m at 2 months and would like to know what to expect in the coming months. Thanks! Over a year post Graft! 2 weeks post graft – A Drop Drama!